SermonView is an evangelism marketing ministry serving churches throughout the United States and around the world. At SermonView, we’re marketing professionals focused on revitalizing evangelism in North America. We believe that God has called us to use state-of-the-art direct marketing practices to get more people through your doors on opening night. SermonView has grown to handle over a thousand evangelism marketing campaigns every year. This experience has allowed us to see what works—and what doesn’t—so we can create a more effective marketing campaign to reach your community for Jesus. As we work with you, our prayer is that God will use our joint efforts to bring a great harvest for His Kingdom. Better marketing means more people at your next evangelistic event! And SermonView’s evangelism marketing gets you results: higher response rates, lower cost per opening night attendee, and a deeper, more diverse audience. Let us help you bring more people to your next series! We want to see more people in heaven. God wants everyone to be saved, and we strive to use our gifts to share His message of hope with as many as possible. We believe ministry happens in the local church. God has called every local church into being for His purposes, and as each church pursues their unique calling more people will be reached. We are honored to partner with local churches in ministry. Today, more than ever before, pastors are pulled in a multitude of directions, facing high expectations at every turn. We want to hold up the hands of these leaders, coming along side them to help equip God’s people to do His work. SermonView is God’s ministry, not ours. The problems we face are His problems, not ours. As slaves of God, we simply follow His guidance, and watch in awe at the work He is doing. Through it all, God is glorified. Some of our designers have worked for Fortune 500 companies and top design studios, but now choose to dedicate their talents to serving churches. As you can see by looking through our illustrations and designs, their body of work for SermonView customers speaks for itself. Effective communication requires punching through the clutter and noise of our busy society. Proven marketing methods, grounded in biblical principles, help churches attract new people through their doors and integrate them into the life of the body. We are at our core a technology company. We constantly look for ways to harness technology to help churches be more effective, and to help us be more effective in serving you. We are committed to fully understanding your needs and crafting a solution that meets your ministry objectives, on-time and under budget. And in those rare times when we get it wrong, we make it right. In our organization, we foster a high-energy, performance-oriented culture that focuses on achieving measurable objectives. Ideas are cheap; execution is everything. When you work with SermonView, you’re working with people who know how to get things done. 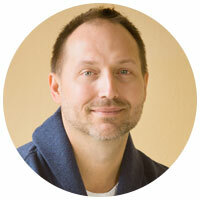 Larry is a respected innovator with a passion for harnessing technology for ministry. After briefly serving in a local church, Larry has spent over 25 years in marketing and public relations. His resume includes stints at organizations as varied as Intel, Wellsource, La Sierra University, North Pacific Union Communication Dept., and a variety of technology startups. In 2001 he joined It Is Written as director of its Digital Media Group, leading a team of 15 young creatives in creating cutting-edge resources for evangelism, before founding SermonView in 2005. Larry has a BA in theology and mass media from Walla Walla University, and earned his MBA from the University of Washington’s Foster School of Business. He is an elder and musician at his local church and serves on the Oregon Conference Executive Committee. 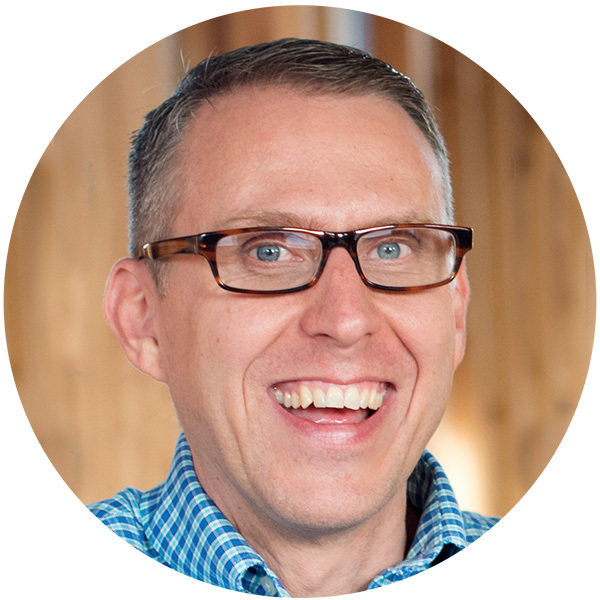 He lives with his wife and two children in Vancouver, Wash.
Vince has spent over a decade dedicated to helping churches communicate better and market themselves more effectively. 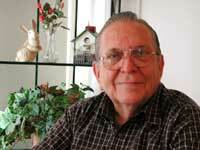 He started his career in radio and became fascinated with the ins-and-outs of effective marketing. Eventually he took that expertise into the world of business and was heavily involved on helping start-ups and small companies thrive using effective marketing practices. Vince grew up in an unchurched family and enjoys combining those experiences with his marketing background to reach unchurched people for Christ. As a youth, Vince was ranked as one of the top 50 chess players nationwide, and still loves to apply that level of strategy to his job today. Vince is heavily involved in his local church community where he runs a men’s group, leads worship, and is dedicated to their homeless ministry. He lives with his wife in Vancouver, Wash.
Don Gray, a retired evangelist and the “Grandfather of SermonView,” started Advent Digital Media in 1995 to create computer graphics for Mark Finley’s Net 95 satellite evangelism series. The organization quickly grew to 15 young creative professionals, merging with It Is Written Television in 1999 and becoming It Is Written Digital Media Group (“DMG”). Larry Witzel joined the team in 2001, managing the development of evangelism graphics products such as New Beginnings DVD Evangelism and the Evangelism Media Library, and Vince Williams joined two years later to direct the global launch of Oxygen preaching graphics. SermonView is an ASI-member ministry, and today our evangelism marketing ministry is widely used throughout the North American Division. Through the years, we have worked closely with some of the most gifted evangelists and preachers in the country, like Mark Finley, Shawn Boonstra, Jac Colón, Mike Tucker, John Bradshaw, and Derek Morris. More than that, we’ve been honored to serve some of our current SermonView customers for nearly two decades, and look forward to continuing to have a vital role in many churches’ marketing programs in the future. Don Gray passed away in 2014, leaving a lasting legacy of creative evangelism and lives touched around the world. SermonView is privileged to be part of that legacy.